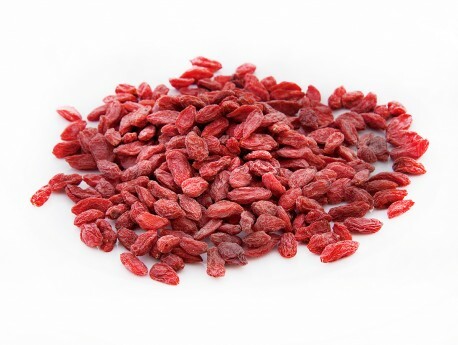 In terms of overall nutrition Goji Berries are unmatched by any other food. They contain 18 kinds of amino acids (six times higher than bee pollen) and contain all 8 essential amino acids (such as isoleucine and tryptophan). They contain 11.7% protein, and 328 calories per 100g! They also contain up to 21 trace minerals (the most powerful ones being zinc, iron, copper, calcium, germanium, selenium, and phosphorus)!